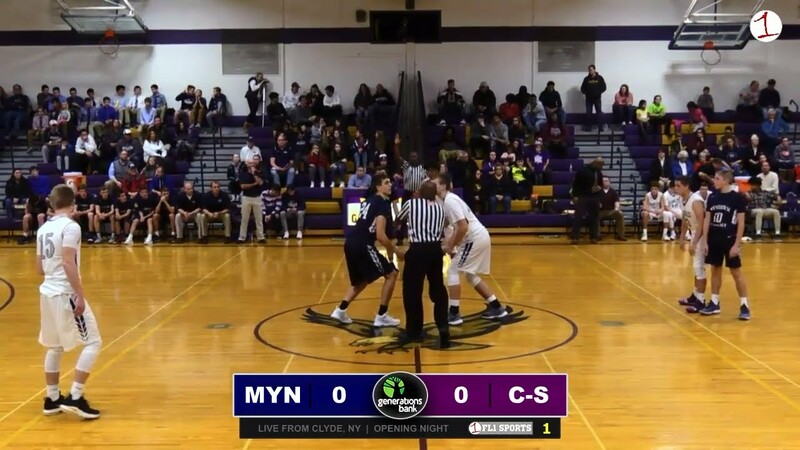 On Opening Night for Wayne-Finger Lakes High School Basketball, FL1 Sports is in Clyde for a crossover border battle between the Mynderse Academy Blue Devils and the Clyde-Savannah Golden Eagles. Jim Sinicropi and Kevin Sharp have the call from courtside at Clyde-Savannah High School in FingerLakes1.com’s first live stream of the 2018-19 season. When basketball fans learned that Clyde-Savannah would drop from Class C2 to Class D1 this season, many assumed a Sectional title would be a given. After winning the Wayne County League for a second consecutive season, the Golden Eagles turned their sites towards sectionals, and a trip to the Blue Cross Arena. Waiting for C-S, was a surprising Finger Lakes West squad, the Honeoye Bulldogs who boasted two 1,000 point scorers and had their eyes on an upset after jumping out to a 13-8 lead at the outset of Saturday’s Section V Class D1 Championship Game.